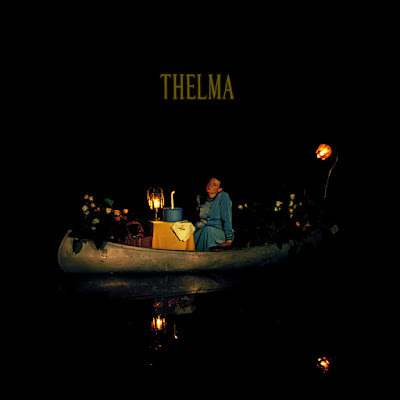 Thelma's stunning debut won't let you settle. The story always starts the same. You’re at the gig, and someone who’s not the band you intentionally came to see takes the stage. You're barely giving them a second thought, but then it happens. The artist makes a sound so transfixing that you can’t look away. For me, that was Thelma. What started as a vehicle for vocalist and guitarist Natasha Jacobs to overcome her stage fright has morphed into a full band with the addition Daniel Siles, Maciej Lewandowski, and Juan Pablo Siles. Their tender yet unnerving indie rock is equally transfixing on their self-titled EP, out today via Tiny Engines. Jacobs’ voice on “If You Let It” flutters like a dove’s wings when she’s not twisting it into a yelp. She sounds like she’s on the edge the entire town, with brief flashes of light beneath the rolling grey clouds. Her voice may be beautiful, but the uneasy rock dynamics offset any comfort she’s emoting with her voice. When it soars, like around the three minute mark on "Moxie," it’s always with the threat of failure. Moments like these are aided by the bands embrace of synth textures, giving their songs an otherworldly feel. They provide an unexpected underbelly to “Spool,” highlighting the shifting rhythms in a way that evokes a more roots-y Katie Dey. The songs themselves are rooted in unsettled feelings. "White Couches" is about being too “messy” for someone, of unworthiness, of projecting neater fantasies onto other people to make us feel inferior. “You must live in a clean space / I am not much but a child, filthy and spoiled,” Jacobs sings, continuing, “But I can’t sit on your white couches tonight / Those angular seats will never be right.” This theme of being inedible or seemingly disgusting moves into “Peach,” where Jacobs rejects the idea that she’s some sweet fruit to be gobbled up by someone. Dino dames T- Rextasy cover similar territory on “Chick’n,” but instead of making an upbeat kiss-off, Thelma explores the darkness at the root of this habit. “Though I’ve fed you love respectively sweet / I plague the back of your tongue with instinctual grief” Jacobs sings, looping her voice and over. As the track builds and she moves into wordless vocalizing, you feel the depths of rage at being trivialized. The song’s structure mirrors how something as small as a demeaning pet name can be seem innocuous yet feel so imposingly large. Women are told all the time that they should be sweet, consumable, agreeable. Thelma insists that they have the right to be fallen. Listen to Thelma on bandcamp.